“That looks a bit crap,” my dad said whilst looking over my shoulder. I was playing some pixel-art throw-back, all blocky and two-dimensional. He wasn’t commenting on the subject or mechanics of the game, simply the visual fidelity – how it looked. My dad isn’t a regular player, but he’s seen games through the generations – N64, Dreamcast, PS2, XBOX – and he instantly knew this was technically lesser in its representation of the world. I understood him. 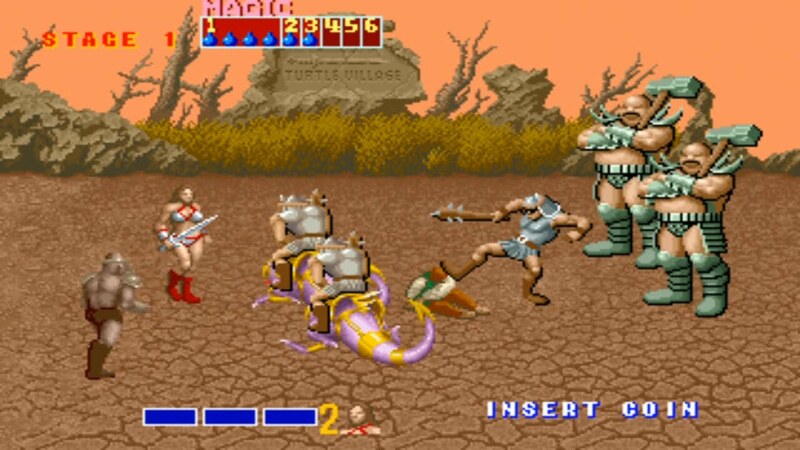 I enjoyed older games like Golden Axe in the arcade as a kid, but growing up I had become attached to the modernist idea of progress – I wanted a wide, open, 3D field to run around (Ocarina of Time), and then something greater. Nostalgia, which is something we delve into with increasing regularity, seems untrustworthy. A drive for realism may not be the answer – it’s often tied to a model which blindly follows the money, for a start. However, I think a lot of us still believe in progress. It’s still the big ideas in games like No Man’s Sky that, rightly or wrongly, gets us excited. The world today allows for a certain technical scope to be achieved with games, but this can so easily undermine and diminish them too. According to thinkers like Baudrillard or Bifo Berardi, we’re a society obsessed with acceleration: the jump from craft to manufacture, horse to automobile, telegram to e-mail, all have speed in common. Even film, that great modern art, is produced by moving from one image to the next extremely quickly. We can easily observe this development in video games too. Less abstract than the acceleration of computer processing: reading text in old cRPGs was too slow, so games moved towards barking orders at you using celebrity voice actors. Traversing the world, or repeating an area was inefficient, so we needed fast-travel, checkpoints and quick-loading to speed things up and cut straight to the action. 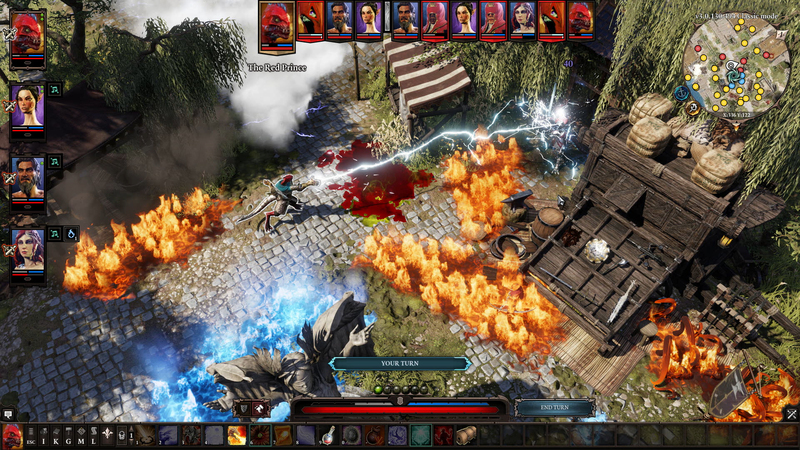 I recently finished playing Divinity: Original Sin 2, and what struck me was, along with its predecessor, how modern it is, how it disregards so many features of compression that have crept into games over the years. You have to listen to the dialogue carefully, read through your journal to work out the details, think and solve problems without markers or glowing trails – but it also has this complex system where steam evaporates, liquid freezes and objects in the world can all be moved and manipulated. It’s nice to play a game that is highly-technical in its simulation of a world and also allows the player to just exist and explore at their own pace. We have enough computational power at this moment to make great games, we don’t necessarily need more, and Divinity is a reminder that deeper can be superior to bigger or faster. There is without a doubt a nostalgic quality to Divinity, but it isn’t a repeat or a retreat, it’s using the tools available to enhance a consciously chosen style.